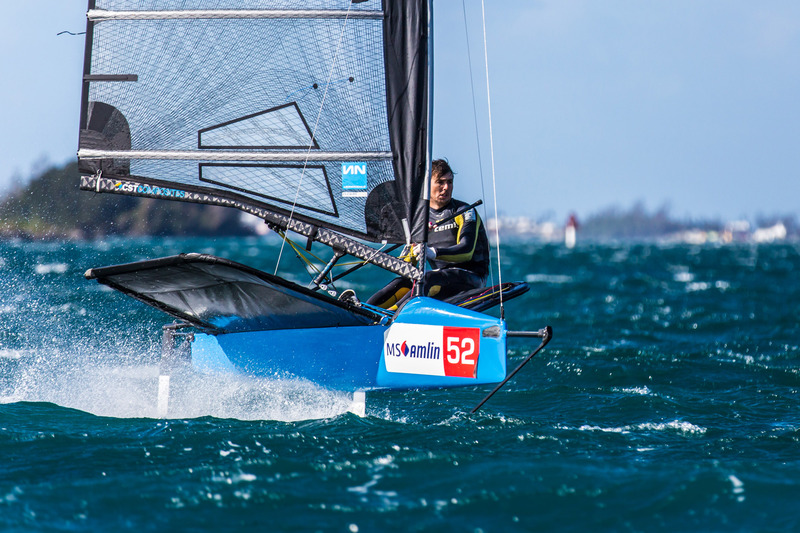 HAMILTON, Bermuda (Dec. 3, 2016) — Australian Iain Jensen pocketed $500 and a bottle of Gosling’s Black Seal Rum today when he won the MS Amlin Dash for Cash, a prelude to the 2nd annual MS Amlin International Moth Regatta hosted by the Royal Bermuda Yacht Club. The Dash for Cash was sailed on a windy Hamilton Harbour, where the northwesterly breeze was recorded at 23 to 26 knots with gusts into the 30s on the race committee boat. The wind was so strong that the sailors had trouble turning downwind. There were many wipeouts as the strong gusts would blow the lightweight hydrofoiler over its bow. Some crashes were spectacular, with the skipper being launched from the boat in a cloud of spray. We are thrilled to have MS Amlin back as our title sponsor and an updated competitors' list will be up shortly! Once again we're happy to include shipping in our scheduled containers from UK and USA, breakfast, hot snack and Gosling's Dark n Stormy (R) after racing with the entry fee. With the wind 6- to 12-knot winds right in Greenhalgh’s wheelhouse, he dominated the three races. His first victory was by nearly 1 minute and the second was by 1 minute, 30 seconds. He left little doubt as to who the best sailor was this week. Three races are on tap tomorrow and it’s anyone’s guess as to who’ll come out on top of the event hosted by the Royal Bermuda Yacht Club. “I’m not sure when the fitting broke, maybe between the second and third race. 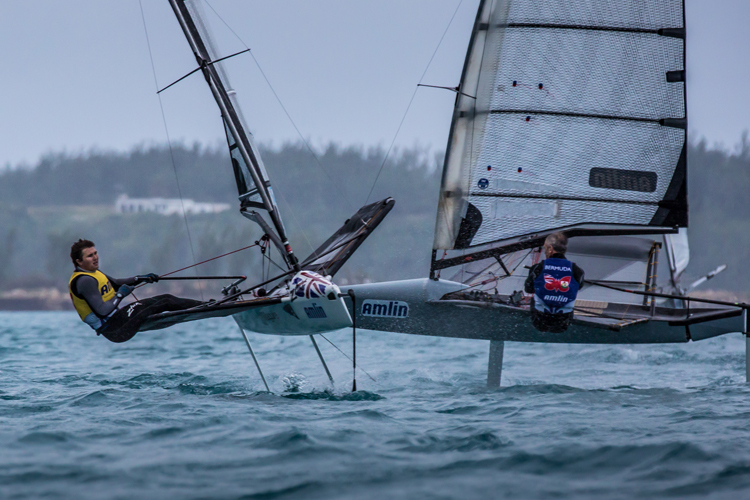 After it broke I could go upwind alright but had a massive capsize on the run near the leeward gate,” Greenhalgh said. 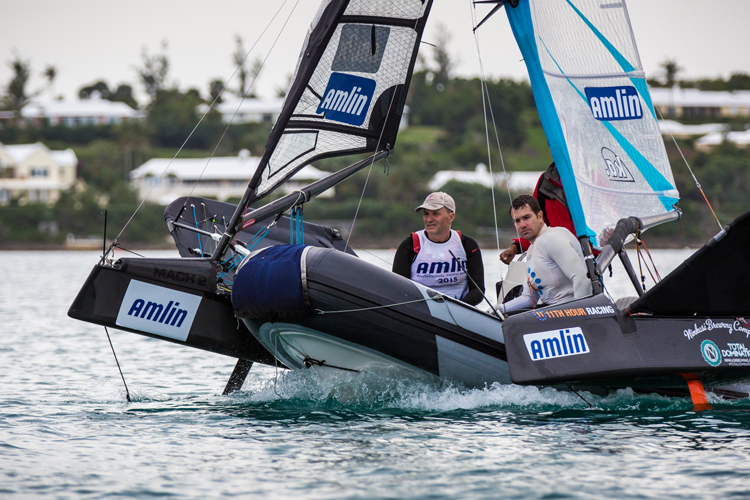 Today’s racing at the Amlin International Moth Regatta was postponed due to light winds. 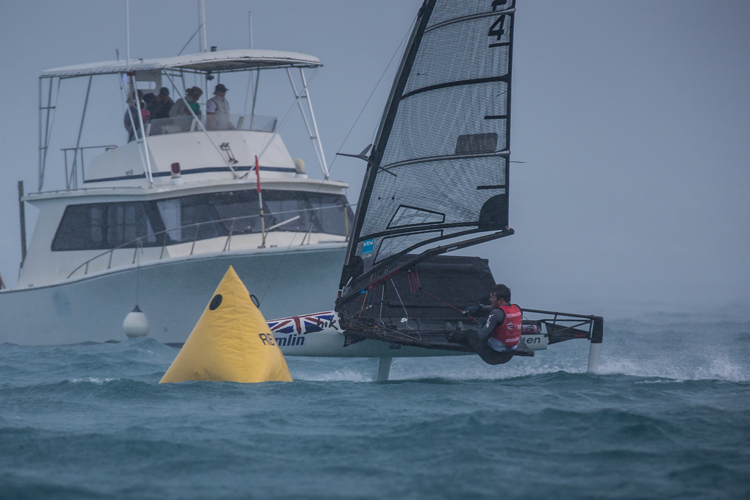 After an idyllic day on Monday and challenging conditions yesterday, today brought yet another set of conditions to the regatta hosted by the Royal Bermuda Yacht Club. 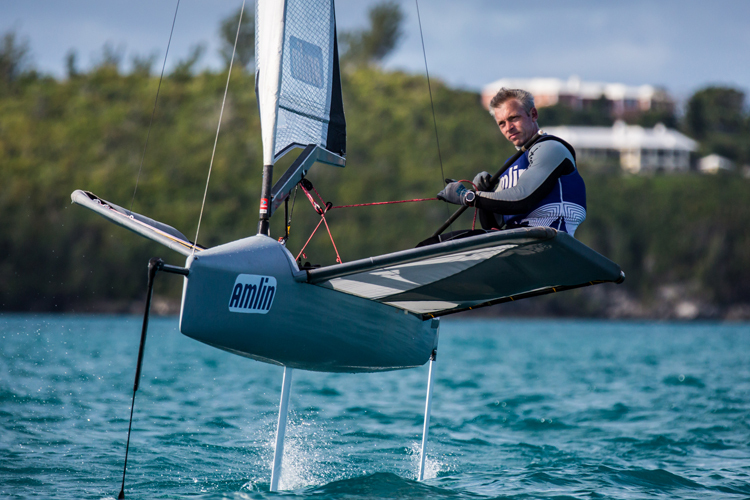 Chris Rashley (Southampton, England) celebrated his 27th birthday today by winning Races 4 and 5 at the Amlin International Moth Regatta in Bermuda. Rashley (above) overcame strong winds and near-blinding conditions, punctuated by a squall with gusts topping 30 knots, to take over the lead of the $10,000 regatta.